Do you want more opportunities to earn maximum bucks? If yes then you’re in the right place. Because in this tutorial, we’re going to share some best Fiverr alternatives i.e. sites like Fiverr to enhance the earning chances and opportunities. The latest Upwork report proclaimed that the U.S. has more than 57.3 million people are involved in Freelancing. This report also narrates that the freelancing workforce will dominate the other occupations in the upcoming decade. In the similar fashion, the MavenLink study says that about 63% of the employees are willing to resign their jobs in order to occupy freelancing as their core earning gateway. This importance offers a great deal of demand, power, and importance in the freelancing platforms due to the freedom and flexibilities it offers to its doers. No doubt Fiverr is the leading digital marketplace among the bunch of platforms. The easiness, fast and reliable deliveries, no scam holes etc. makes it best for the people to prefer freelancing on Fiverr. 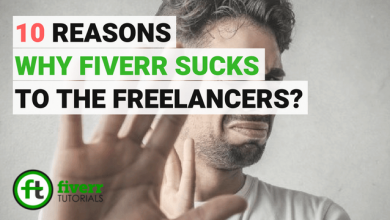 But the kind of competition and the uncountable crowd of freelancers on Fiverr makes the job a bit difficult for the newcomers. That’s it’s always recommended to try as much freelance opportunities as you can. This will increase your earning chances 200% in no time. What Are The Best Fiverr Like Websites for Freelancers? 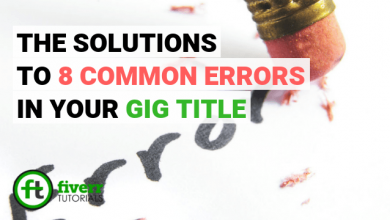 In this tutorial, we’ve brought you a list of 35 sites like Fiverr to help you explore some better opportunities in case of failure on Fiverr. Let’s start! Work N Hire is one of the best Fiverr alternatives for the freelancers looking for long-term and short-term jobs for some little agencies. The idea behind the cause is the little organizations or businessman look for some people to outsource their long or short assignments stuff. On a similar note, if you want to outsource your projects then it’s the fine site similar to Fiverr. Design Hill is the World’s #1 digital marketplace for the designers. The designers having the logo design, banners design, brochure, and flyers designing skills can simply participate in the competition to let the earning streams flow towards them. For designers, it’s the perfect Fiverr Clone in 2018. HubStaff Talent is another fine substitute for Fiverr. On this platform, the freelancers with plenty of management skills can enjoy much of the success. The people struggling for their time management, and employee monitoring surge for their best solution as a freelancer on this platform. When we short-list the most competitive freelance marketplaces, probably, Upwork comes out on top. It demands not only high-quality but the professionals with uniques skills and talent. Although Upwork is the toughest freelancing platform in the present era, but, still the handsome Fiverr alternative for beginners as well as experts. Upwork demands a high deal of qualification to accept your profile and offers a bundle of benefits in return. Unlike Fiverr, there are many chances of pre-fund by the employers after satisfaction from your work. So, try your luck on Upwork as well. Codeable is renowned for the freelancers having the Web Development skills. Moreover, the professionals who develop websites using WordPress are having a massive demand for this platform. The buyers request for desired services with mentioned deadlines and requirements. The sellers, on the other hand, after reading and understanding the project description place bids on them. This allows both parties on the same page which very crucial for satisfaction. PeoplePerHour is one of the emerging freelance platforms for developers, designers, content writers and the digital marketers etc. People can hire the service provider at the cost/ hour. This Fiverr alternative website has earned a great reputation in a short span of time. Work Hoppers is a kind of Fiverr alternatives which companies use to hire freelancers for an online or offline project based in their cities. It’s obvious that the different companies look for project-based professionals. WorkHoppers provide them with a gateway to connect with the freelancer they deal with. After the deal is done, both the parties are required to conduct a face to face interview before the final accomplishments. As the name suggests, SEOClerk is famous for the Search Engine Optimization Services. 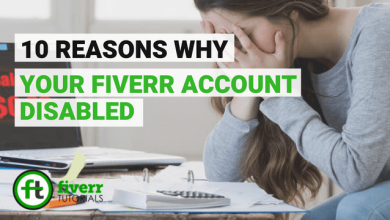 It’s another example of fine sites like Fiverr who are looking for the SEO experts either to buy or sell. Although there are a bunch of SEO professionals already on Fiverr, it’s the dedicated platform for the keyword researchers, Youtube marketers and much more. Mechanical Turk is owned by Amazon.com. This is a kind of platform which doesn’t require too many skills for earnings. There are companies who look for their small jobs done i.e. form filling, data entry etc. They post the work and the freelancers bid on their projects. That’s why it’s the best Fiverr alternative website for the beginners. Rent-a-Coder is another worthy Fiverr clone website for developers, designers, and the Search Engine Optimizers. This platform asks for a little bit of highly skilled professionals. Other talents like content writing may not enjoy much repute there. Guru.com with a network of about 2 million people is another good Fiverr alternative website not only for the developers or designer but also the writers. The sellers can troll the profiles and portfolios of every seller they are going to hire. All the companies, startups and even small businesses need a designer for designing their logo, banners, brochures, designer and even a website. 99Designs plays a key role in connecting the designers with the potential buyers. The people having the designing skills on high can start working on this platform without wasting their time. One key feature that differentiates 99Designs from other platforms is that the project owner can conduct a talent hunt and recruit the best designer as a result of that hunt. Gigbucks is the pretty much similar website to Fiverr. Just like Fiverr you can create an account and start selling by creating your selling Gigs. 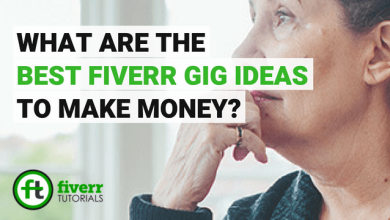 The selling method and the Gig creation is likely to Fiverr anyways. Freelancer.com with over 12 million active users is a perfect website similar to Fiverr. Freelancer applies the bidding system where multiple freelancers can bid on the similar project and the buyer can opt for one based on his profile and portfolio. The method for creating an account is quite simple. You just need to create your profile and add some portfolio, education and other certificates to make your profile stand-out. It’s important to mention your average charges so the potential buyers can manage their budget as well. As the name suggests, Outsourcely is the best platform for the employers to outsource their projects. One key thing is its low prices which helps both the freelancer and the recruiters. It offers a bunch of categories for the sellers to sell their skills from development to writing skills, for example. MicroWorkers is a bit different from other platforms. Here you don’t either need to create Gigs or place bids on the projects. It’s quite simple, you just need to create your profile and the buyers can conduct an interview for long-term jobs. So, it’s also a healthy Fiverr alternative site. Like 99Designs, DesignCrowd is another better choice for the designers to showcase their talent. Either you want to hire or sell the designing services it’s one of the best sites like Fiverr. You can sell anything from a T-shirt design to logo and much more. In case of any dispute, the buyers can refund their invested money. Fourerr is the duplicate Fiverr clone. 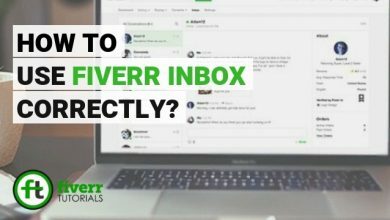 Just like Fiverr you create Gigs and wait for good healthy ratings, here you also experience the same rules. One thing that differentiates it from Fiverr is that you can place bids starting from $4. So, it’s a possible Fiverr alternative website to sell your skills and talent. Nexxt is the best option where the employers can hire freelancers on the basis of their traditional resumes or the infographic portfolios to differentiate one freelancer from the other one. Apart from hiring, Nexxt is also a good way of advertising your business, company, and startup i.e. job campaigns etc. The freelancers with all kind of skills can opt for Nexxt as a possible top site like Fiverr. This site can only offer you short-term projects i.e/ $5 and something above. 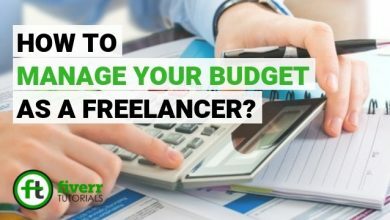 But if you’re a beginner in the freelance market why don’t you try one? It’s of the best Fiverr alternatives for the dedicated coders and the desktop software developers. Toptal applies a primary screening process to match the seller’s skills with the given project. One thing that stands out Toptal is that the employers can claim the refund if the seller failed to deliver according to the recruiter requirements. This platform is also the Fiverr clone. MyCheapJobs uses the similar Fiverr algorithms. However, you can sell from $5 to $50. Envanto Studio is the platform owned by the creators of Tuts+. It’s a kind of marketplace where the creative professionals i.e. web designers, content writers, and the graphic designers have a great fame. The seller and buyers on this platform are constantly screened and monitored to avoid any scam. Although it’s not the site similar to Fiverr in working but has got some fine repute. Task Army has an additional approval method so that the scammers and robotic activities are discouraged. Only real and dedicated people are allowed to work on this platform. As far as services are concerned, the skills like coding, designing etc. are on the trending side. 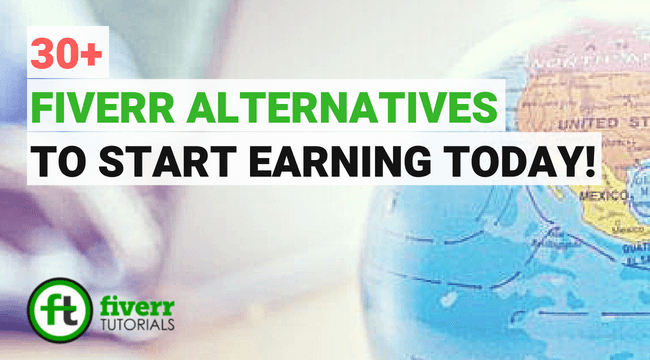 This Fiverr alternative is applicable for short-term jobs. Gig Blaster another short-term job Fiverr related website. But the working and the algorithms are pretty much like Fiverr. TaskRabbit is the special platform for the household jobs. For example, people can hire freelancers for small tasks like home improvement, packing and moving, yard working, furniture polishing and much more. It also offers the same-day service to ensure your home tasks are in within the same day. Work Market is another one of the ideal Fiverr alternatives for the IT professionals having a sound knowledge of Tech, Marketing, and solutions. HubWIT is the freelancing platform where the Gig can be sold for $4.99 each. Zeerk allows the freelancers to sell their Gigs up to $100. The sellers can fix their Gigs prices according to the nature of the project. Even the Zeerk commission is not charged when a service is offered for under $5 good enough in the as a Fiverr alternatives list. Tenrr is another pretty identical to sites like Fiverr. 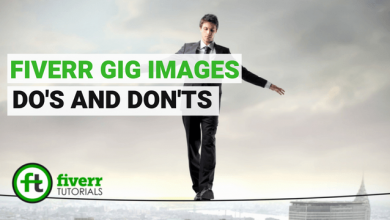 The Gigs are offered to range from $5 to $10 best for the small-term jobs. One key advantage is that it charges lesser commission than Fiverr. These were some Fiverr alternatives websites to make aware of thinking out of the box other than Fiverr. These sites like Fiverr will help you keep earning in case of failure on Fiverr. 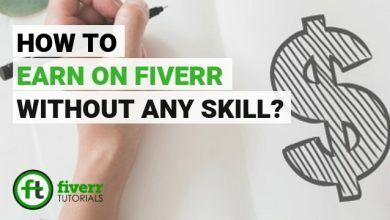 How to Start Selling on Fiverr? 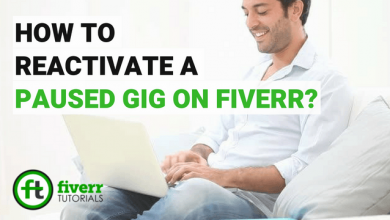 How to Create a Gig on Fiverr? Tips to make your Fiverr Profile Stand-out? 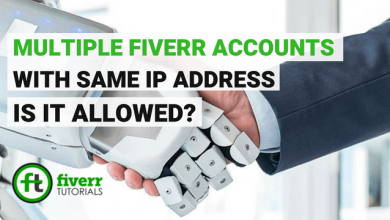 Is it Allowed to Run Multiple Fiverr Accounts with same IP address? 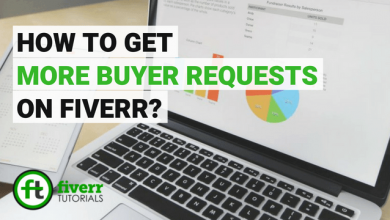 Does Fiverr Vacation Mode Demerit your Sellings? 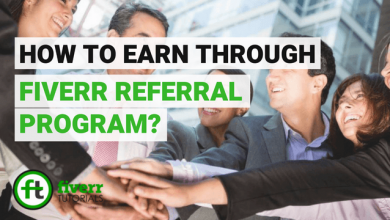 How to earn $500 through Fiverr affiliate program? This is a very helpful article. Zeerk I signed up for and I got some affiliate commissions! I made $4 twice on fourrer a long time ago.